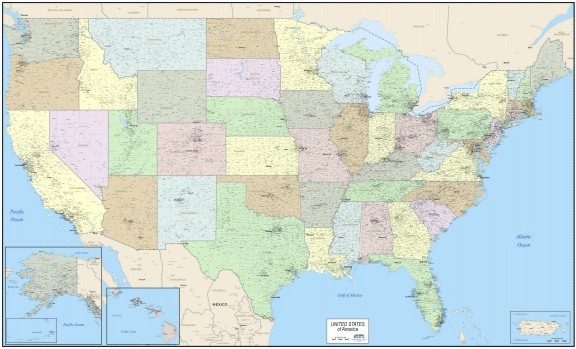 The "Cleartype" maps have been used by business for decades to define sales territories, district and regional management, branch or franchise locations, and in demographic studies for marketing research. 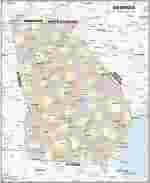 Clearly shows cities and towns, county lines/names, without highway clutter. For sales office- get the big picture! Sales Control Maps, for marketing, districts, regions and defining territories, Without highways you can clearly see company data and execute market planning. 70x42" $119.95, Laminated. 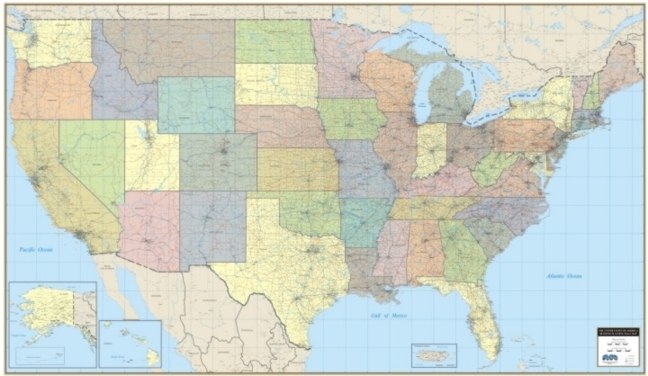 Choose Colored States, Black & White, shaded by MSA. 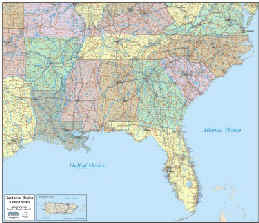 Individual Raven Color Wall Maps also available for most states.